Levante sales in China were hit by new regulations. MILAN -- Maserati will extend production stoppages over the holiday season to reduce vehicle stocks, union sources said. The Grugliasco plant, which builds the Ghibli and Quattroporte sedans, will reopen Jan 15 after a four-week shutdown that began Dec 15. Last year the factory was shut for three weeks over the Christmas and New Year holiday period. 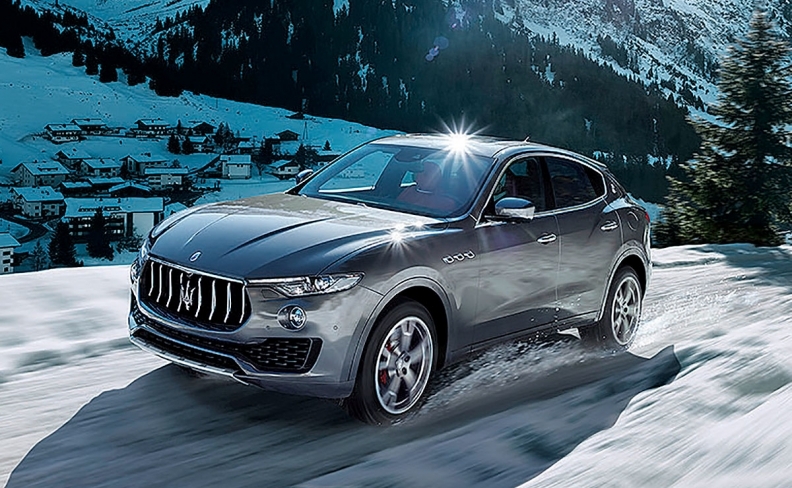 Production of the Levante SUV at the Mirafiori plant will stop from Dec. 20 to Jan. 15. Last year, the line stopped for only one additional day beyond statutory holidays and weekends. The Modena plant, which produces the Granturismo and Grancabrio models, will reopen Jan. 8 after halting production Dec. 15. Maserati owner Fiat Chrysler Automobiles and Maserati declined to comment on the shutdown schedule. Maserati has been hit by declining sales in China. Federico Bellono, head of the FIOM union for the Turin area where both the Mirafiori and Grugliasco plants are located, said he was unsure if the longer production stops is a temporary situation due to the Chinese market or a structural decline in sales volumes. "It is clear that production is slowing down and investment in new models are on hold," he said. JATO Dynamics analyst Felipe Munoz said the Levante competes in a segment that is growing at a brisk pace, but its sales are falling "faster than we could expect at this point of its product cycle. This is hard to explain but worrying for the brand." Maserati sales were up 40 percent to 35,500 units in the first 9 months, boosted by demand for the Levante earlier in the year. However, sales in the EU fell 4 percent in October and November, while U.S. volume dropped by 15 percent. LMC Automotive forecasts Maserati production will fall 25 percent year-on-year to 12,217 cars in the fourth quarter. Levante production, at 5,192 units, is expected to fall 44 percent. It forecasts Maserati production in 2017 to be 52,890 units, up 23 percent from last year. In the fourth quarter the Levante assembly line has been stopped for 24 out of the possible 61 working days. The company told unions that sales fell in China after authorities introduced new rules on relationships between dealers and carmakers. Among other changes, the new regulations ban automakers from imposing stock on dealerships. China sales have since recovered from their summer lows. According to JATO Dynamics, shipments of Levantes to China in October were 750 units, down 67 percent on 2016 but higher than inthe July to September period. FCA CEO Sergio Marchionne's business plan for Maserati envisioned full-year sales of 75,000 units in 2018 with three new models, the Alfieri coupe and convertible replacing the Granturismo and Grancabrio, and a sixth specialty model. Neither the two Alfieris nor the sixth model are expected to be launched next year.